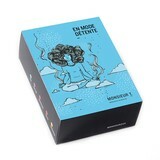 Feng Shui herbal tea - Monsieur T.
Feng Shui aims to create harmony between human beings and their environment. To achieve it, it’s necessary to establish a perfect balance between five elements (water, earth, fire, metal, wood) which are represented by colors and shapes. 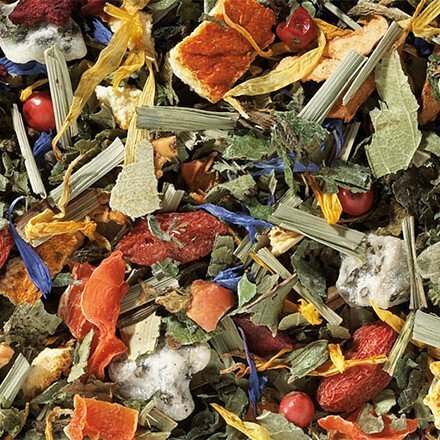 Believe it or not, the ingredients of this herbal tea embodies each of these elements in their various colors and shapes. Apples, goji berries, dragon fruit, lemongrass, blackberries, nettle leaves, orange peel, eucalyptus leaves and carrots. Try this divine herbal tea, your life will only be more feng shui. Contains: Apple pieces, goji berries, dragon fruit (pitaya), lemongrass, blackberry and nettle leaves, orange peels, eucalyptus leaves, carrot flakes, natural flavors, blueberry blossoms and Calendula officinalis.